Facebook is probably the most popular social network platform. It’s how millions of people around the world communicate with each other, share videos, comments and more. We spend so much time on social networks that it is easy to lose your messages either because you deleted them on purpose or you deleted a message without really meaning to. What do you do when you realise that one of your chats has been deleted from your timeline. Can you retrieve the messages you’ve just lost? When you delete Facebook message on your phone is it really gone for good or does it go somewhere else where you can go to retrieve it? In this article we will discuss the various options you can try to retrieve your archived and deleted Facebook messages. So let’s begin! Check if your messages have not been archived on Facebook Messenger first. Messages that disappear from your normal conversation threads may have been archived and you can check whether they have been as described above. 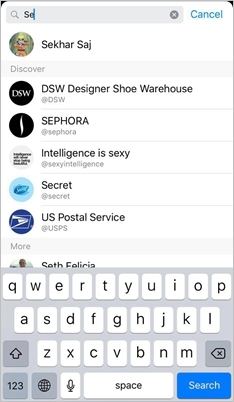 Go to the search bar, type the name of the contact you were in conversation with. You will get a list of all archived conversations and you can click the one you want to see. If you forgot who you were chatting to but would really like to see a particular chat, then click on the icon marked “Settings” on the upper-left side of your screen, choose “Archived Thread” and you will get a list of all your archived chats. In order to recover deleted messages from Facebook on your iPhone you will need to use a third party tool. There are a number of such tools available online. 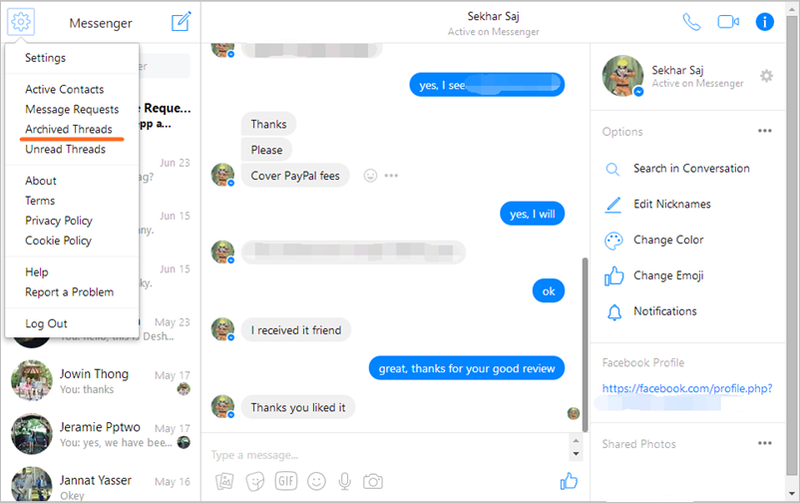 They all claim to be good at recovering deleted Facebook Messenger messages, but there is one tool that is easy to use. It actually does what it says it will do without too much hassle. It is called iPhone Data Recovery. This software is designed to specifically retrieve Facebook messages, including photos and app data. This recovery solution works for iPhone X/8/7/6/5s/4. Install the software on your computer and connect your phone to the computer. 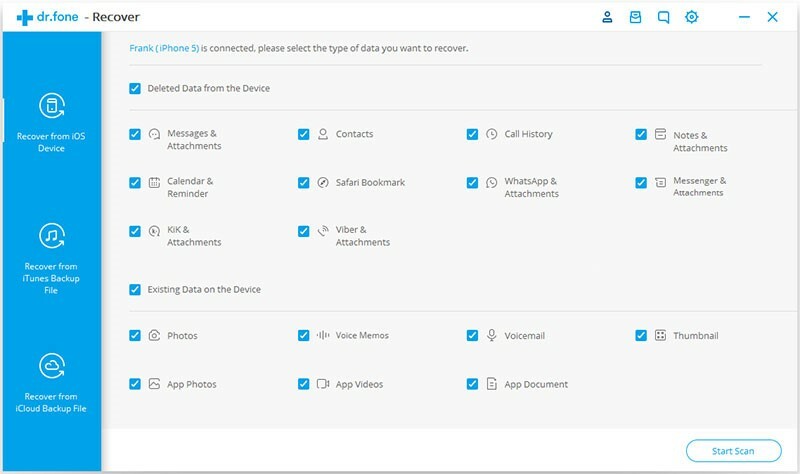 The software will give you on-screen guidance on what you need to do to recover the messages and data you think you may have lost on your phone. This software works for other social media platforms besides Facebook. 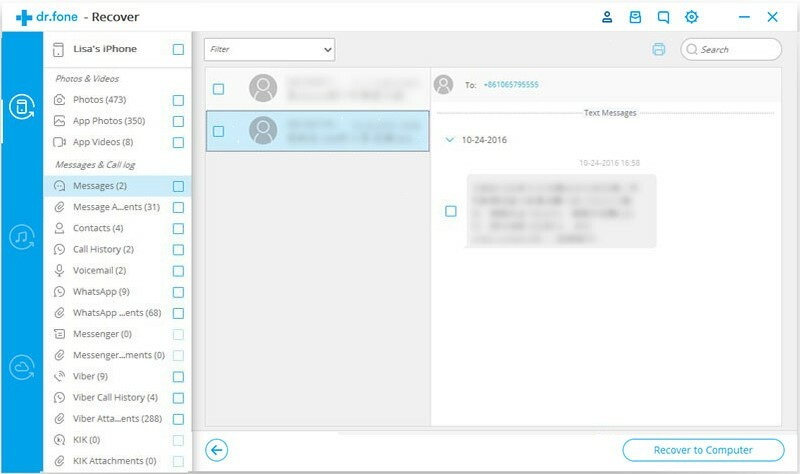 You can use it to recover deleted text messages, WhatsApp messages and more. Let’s have a quick run down of how you can do this. Step 1: Download the iPhone Data Recovery software and run it on your computer. Select the “Recover iOS Data” option on the dashboard. Step 3: Wait for the software to detect the phone. When it does, you will see a “Deleted Data” from the Device Menu and click on the “Messenger And Attachments” box. Launch the “Start Scan”. Step 4: Wait for the software to finish scanning your phone. When this is done, you will see a list of your entire deleted items on the left side of your screen. To get to your Facebook messages select “Messenger & Attachments” from the list. Step 5: Select the items you want to recover on the list and click on “Recover” button to move on. You need to copy your Facebook data from the Facebook site to restore your deleted messages. The good thing is that you can download a copy of all the info, including messages, emails, friends, followers, chats, comments, likes and more. This will help secure your data so you can always find it should you lose it again for whatever reason. To secure the data on you phone, follow these easy steps. Step 1: Launch your browser and open Facebook to log into your account. Step 2: Navigate your way through the ” General Account Settings”. 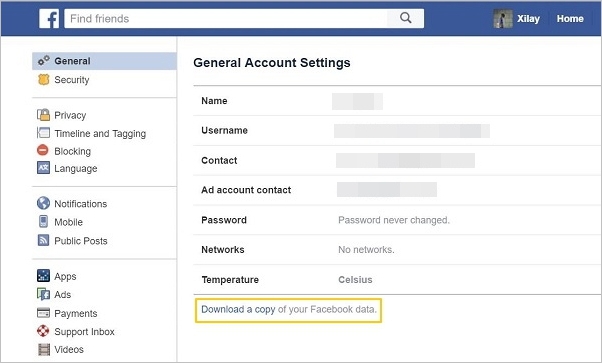 Select the “Download Copy of Facebook data” option. Step 3: Select the “Start My Archive”. Click “And More” option to get additional information. Step 4: You will be asked to enter your login username and password. When you have entered your correct details you will get a message that an email has been sent to your inbox. Step 5: Go to your email inbox, open the Facebook email and click the link to download the archive. 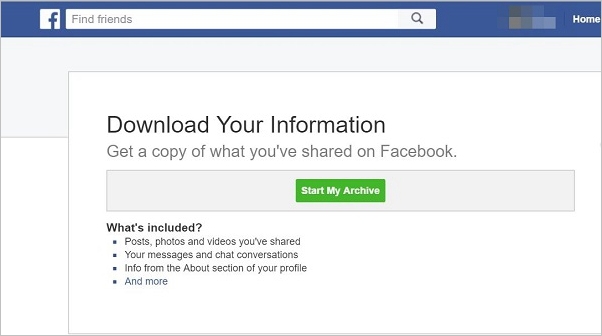 Step 6: When you click the “Download Archive”tab, a zip file with all your Facebook data will download onto your PC. This means that all your messages will now be safely backed up on your computer. 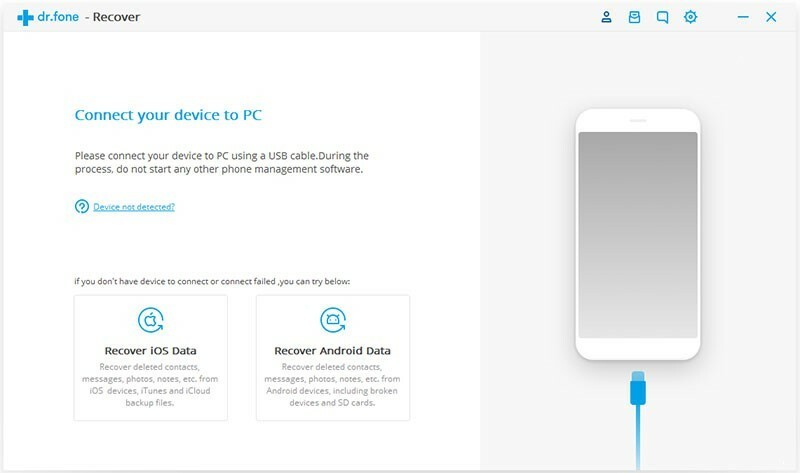 So next time you lose your data you can go to your computer to recover it. To do that you will have to launch that zip file you downloaded earlier. You will find several HTML files. You can choose the file titled “Messages” to get all deleted messages. 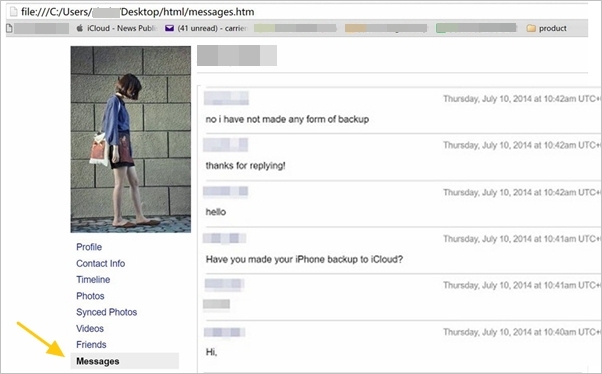 So there you go, now you know what to do if you should ever lose your Facebook messages on your iPhone X/8/7/6/5s/4. iPhone Data Recovery software makes the process easy and quick. iPhone Data Recovery software can be downloaded for free. Just download and retrieve those precious chats and messages you really want to read again. It’s not rocket science. With this tool, you don’t need any special technical skills.